What if healing were as simple as moving? 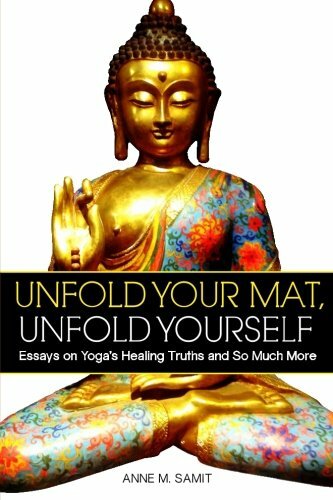 This collection of essays reveals 15 Healing Truths discovered on a journey through movement atop a yoga mat. What began as a simple quest to exercise ignited a discovery of self and spirit and strength, all found by merely moving on a mat. Movement is a catalyst for healing. It shakes off the dust. On the mat, barriers get removed and whatever needs to be released is set free. The moves don’t have to be complicated for a transformation to begin. The essays contained in each Healing Truth are evidence that it’s never too late to exchange a still life for a life in motion. Movement makes it possible to look back for review, to look ahead for hope and, ultimately, to land in the present moment. Embrace patience and peace and joy and love.